There are several “best practices” that can be adopted to minimize the “bounce” effect of jumping between two- and three-person crews. Following the trend of the NCAA, many scholastic (NFHS) conferences across America have been slowly transitioning to provide Three Person Officiating crews for most (or all) of their varsity level contests. This exciting trend provides better court coverage from a referee’s perspective and statistically does not impact the game from the number of whistles or types of rulings measured. Most importantly it provides a wider opportunity for newer officials to gain experience at the varsity level and increases the number of available assignments throughout the regular season. However this presents several new challenges. There is a higher burden on officiating associations (NFHS / IAABO / etc.) to train officials properly in working both Three Person and Two Person systems. In states (or conferences) where both crews are utilized throughout the season, many veteran officials are bouncing back-and-forth between Two-Person and Three-Person. Officials that work NCAA ball primarily, become unfamiliar with Two-Person mechanics and struggle to adjust if called upon to do such games. As the complexities and differences between the two systems vary … there are several “best practices” that can be adopted to minimize the “bounce” effect of jumping between the two styles of officiating. Leveraging these suggestions will make your transitions smoother and ratchet up your confidence when called upon to work a Three-Person game in your area. 1) Move More (than you think) in the Lead — When working a Three-Person Crew one of the most visible poor practices can be not rotating during a live ball – when you should. Officials that are primarily used to working two person crews know the value of minimizing their crossing of the lane. However in a game of three, it’s imperative to think about rotating more often than not. It’s easier to think about when not to rotate — as compared to when you should. Best Practice: As the lead official mentally prepare yourself to rotate every time down floor – and look for the opening to make it happen. Think to yourself … “should I be going” … “am I on the strong side” … “am I in a good position.” By actually thinking about rotating more, you will most likely wind up rotating appropriately and can certainly ratchet it back as you adjust to the flow of the game. 2) Wide Eyes from the Outside — Possibly from the desire to focus so intently on their primary coverage area, many officials unfamiliar with Three-Person officiating get visually “locked-in” to their area and they fail to realize there is a live ball rotation occurring around them. This happens when the lead makes a proper rotation and the outside officials fail to recognize the move. As a result the crew is totally off balance, the triangle is broken and a quick transition on a turnover may cause two officials in one spot. Best Practice: When working from the outside (Trail / Center) make a dedicated effort to “keep your eyes attentive and wide open.” Try actually (physically) opening your eyes “more-wide” and increasing your field of vision. 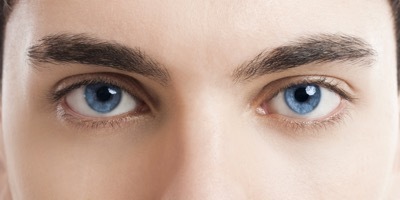 If you are too relaxed from the outside and focusing in too small of an area … your field of vision will tend to “close down.” Concentrate to keep “opening” pressure on your eyes by lifting your eyebrows and eyelids to create a larger opening. Reading this may sound funny …but that’s how I describe the feeling of opening up your vision, similar to opening the aperture of a camera up wider, which allows more light into the picture. Do the same with your eyes and you will see the game in a whole new light. 3) Be Uncomfortable in the Center Position — This best practice refers to the feeling an official should get when the ball comes toward their side while working in the Center spot. Because the strong side should mainly be officiated by the Trail and Lead … whenever the ball swings over to the Center’s side, it should make them feel uncomfortable – being alone (over there) with the players, ball, and just themselves. Having ball pressure directly in front of the Center provides a very close proximity to the play and difficulty in getting really good depth perception. Best Practice: When the ball gets too close to you as the Center official … you should be thinking of moving to a better position. Most likely if the ball settles over on the C’s side, the Lead referee should be initiating the live-ball rotation. When that ball comes over – take a slight glance up and “feel” your partner (the lead) starting to rotate. However, remember not to move too quickly. Be patient and let the rotation occur with the lead moving first … the opposite Trail moving to the new Center position, following by you moving backward into the new Trail spot. As always, the Center can move down or back to gain a better viewing angle of a play prior to any rotation occurring. In conclusion, officials that bounce back and forth between Two-Person and Three-Person crews should focus on the key elements of “movement during live ball situations. Many times organizations focus on where officials should go during a dead ball, after foul reporting, switching, time-outs, etc, which are all important. However, concentrating on movement as a crew to actually “officiate” the live play will make you a better referee and more comfortable as you jump back and forth during the scholastic season. Billy has over 40 years officiating / umpiring experience with basketball, soccer and fast-pitch softball in the Southern New Jersey area. As an IAABO member, cadet instructor and supervisor of officials – has been refereeing basketball for 40 years and recently started officiating scholastic soccer for the Atlantic – Cape – Cumberland County Officials Association (ACCSOA). Additionally he is an NCAA umpire for the Eastern Collegiate Softball Umpires Association (ECSU) as well as a scholastic umpire for West (NJ) Chapter 5. In the business world, Billy has more than 30 years of sales and marketing experience, most recently with Salesforce (NYSE:CRM), the industry leader in Customer Relationship Management and marketing tools. Billy holds a Master’s Degree in Education (MEd) specializing in Sports Medicine and a Master’s Degree in Business Administration (MBA) in Technology Management. 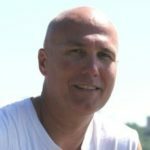 He is also the co-author of four Amazon best-selling basketball officiating guides called, “Beyond the Rules” and the “GameTracker Journal.” Billy is also the co-founder of “60 Seconds on Officiating” a destination site for over 100,000 officials in 80 countries worldwide (ref60.com). Billy resides in Wildwood, NJ and loves boating, fishing, and just about any activity that will leave sand between his toes. Thanks Billy. This is really good stuff. Sharing now!